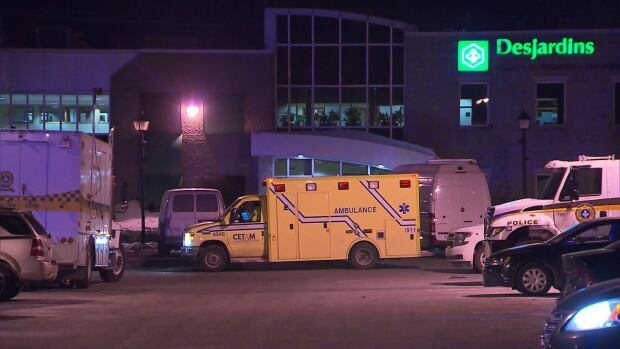 A hostage-taking situation in Salaberry-de-Valleyfield, west of Montreal, has ended without incident. Sûreté du Quebec Sgt. Ingrid Asselin said around 4:50 p.m. Friday, an employee inside the Caisse Desjardins credit union activated an emergency button. Police negotiators and the tactical squad arrived on the scene and established contact with a man in his 50s inside. The four hostages, all employees of the Caisse, were released by 10 p.m. They were unharmed. The man turned himself in peacefully around 1:30 a.m. Saturday. He was taken to a hospital to be examined by doctors before meeting with investigators. Police confirm he was armed, but would not say what type of weapon he had in his possession. He could face forceable confinement and weapons charges. Asselin says investigators do not yet know the motive behind the incident.